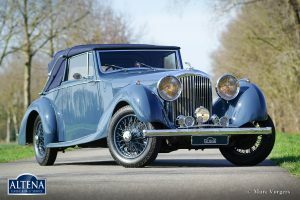 Bentley 4¼ Litre Drophead Coupe, year 1936. 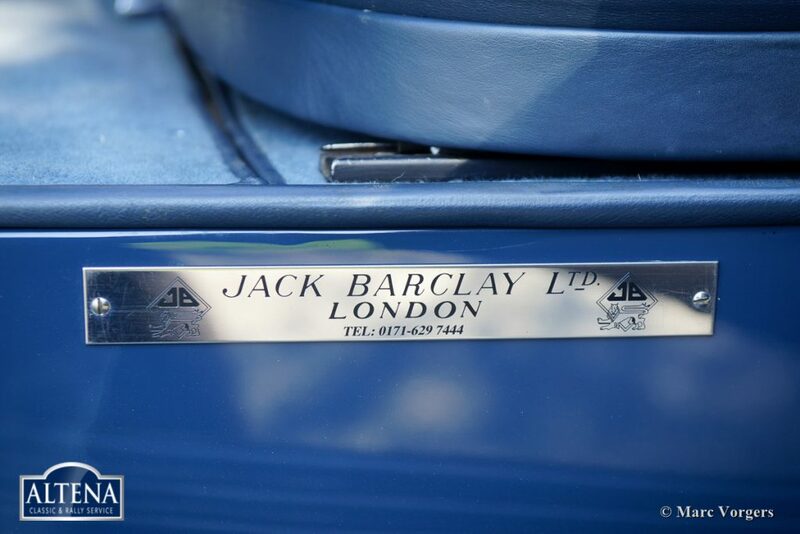 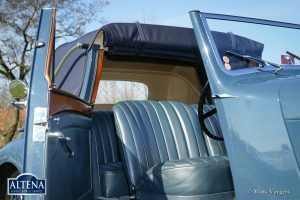 Colour blue with a dark blue leather interior, light blue carpet, and a blue mohair 3-position hood. 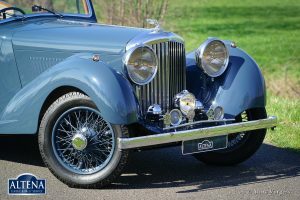 This magnificent Bentley 4¼ Litre was sold new in England in the year 1936. 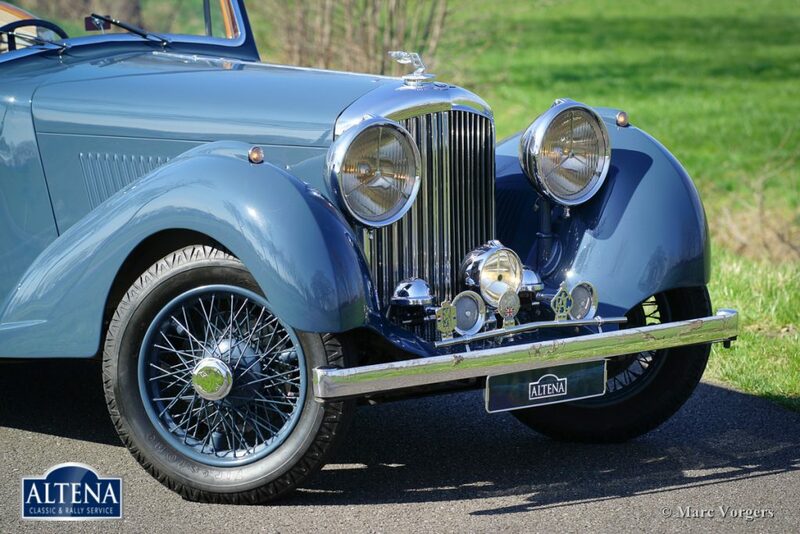 In the year 1963, the automobile was sold to the USA. 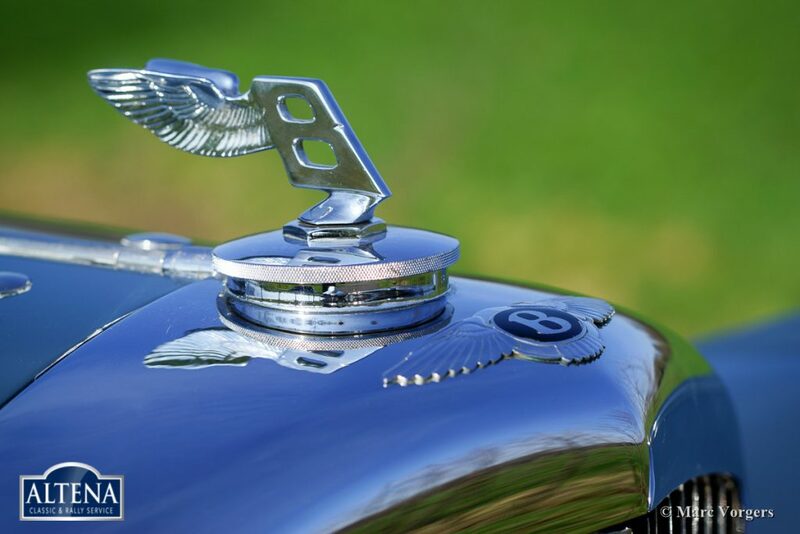 In 1978, the Bentley found a new owner in Australia. 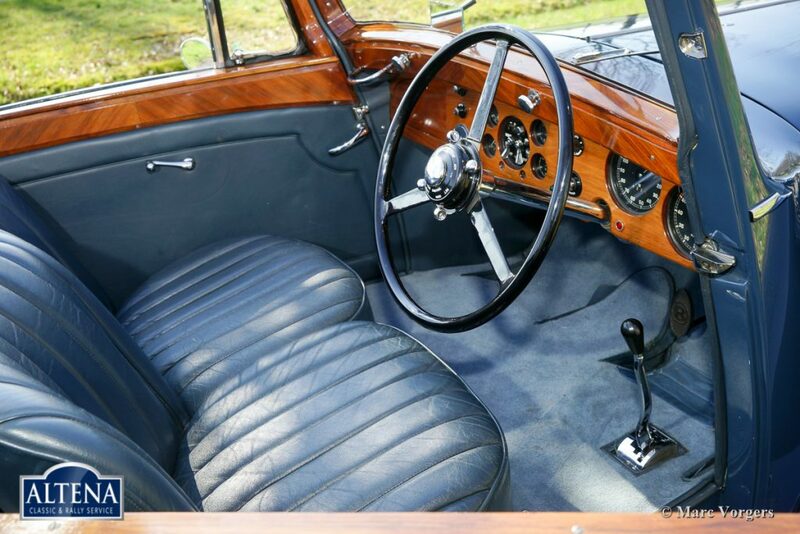 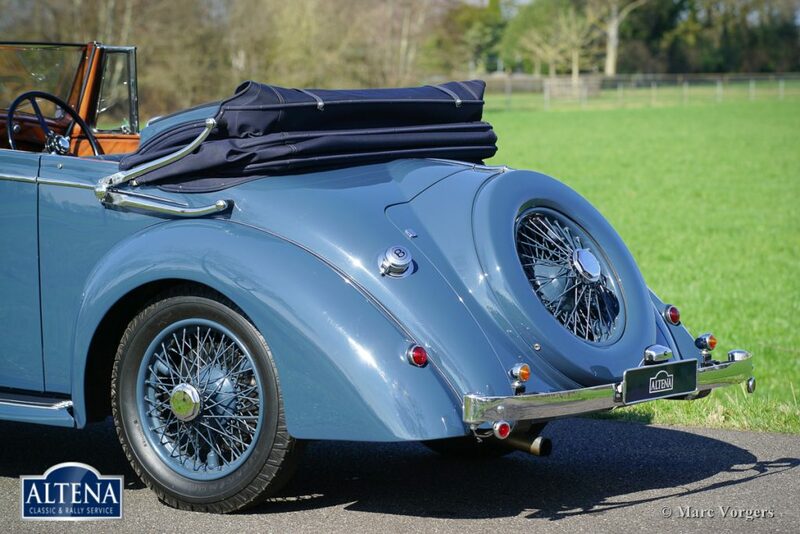 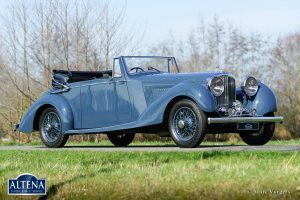 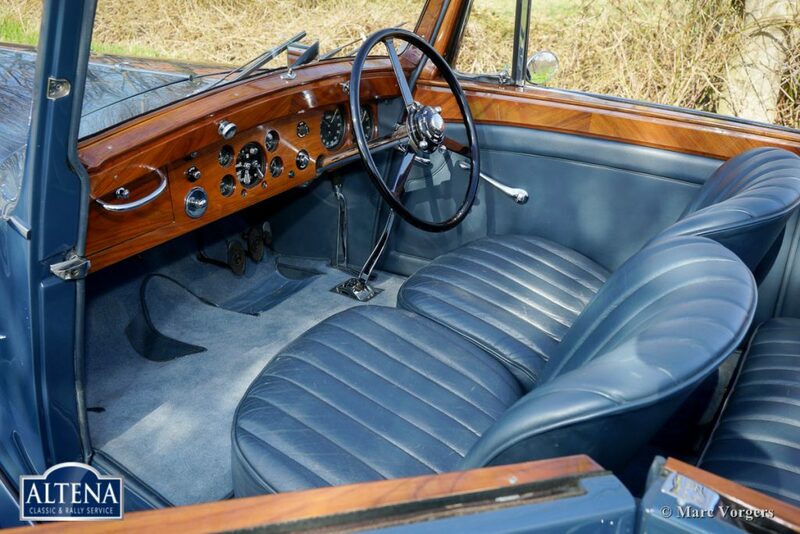 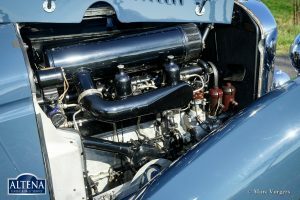 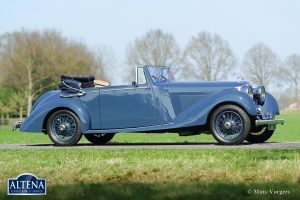 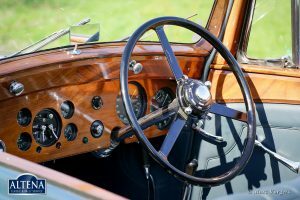 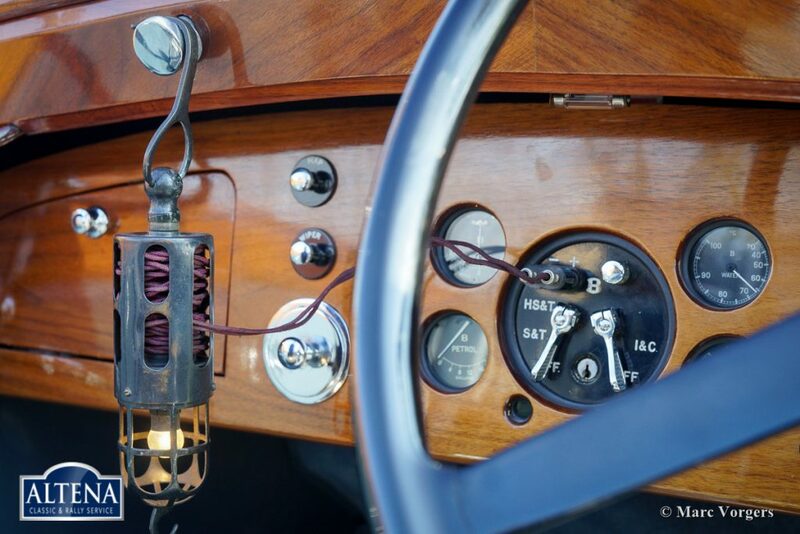 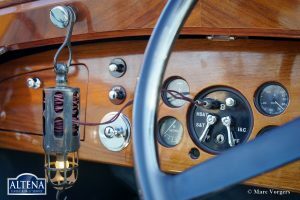 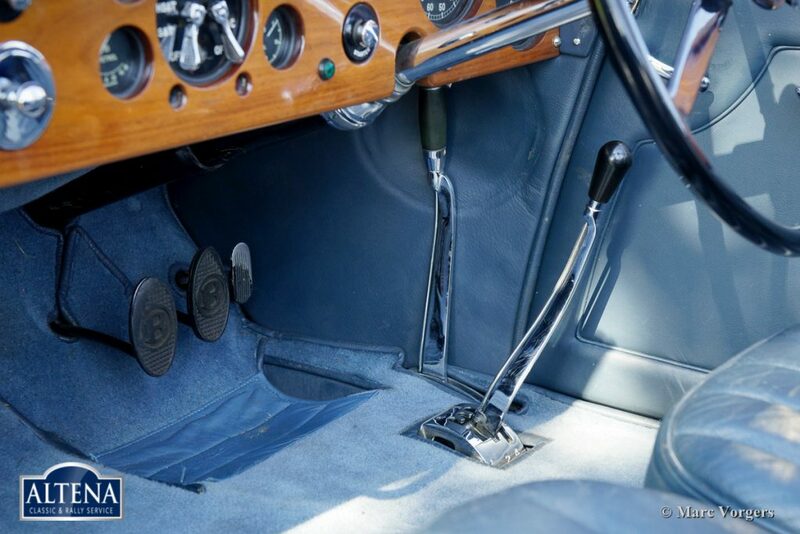 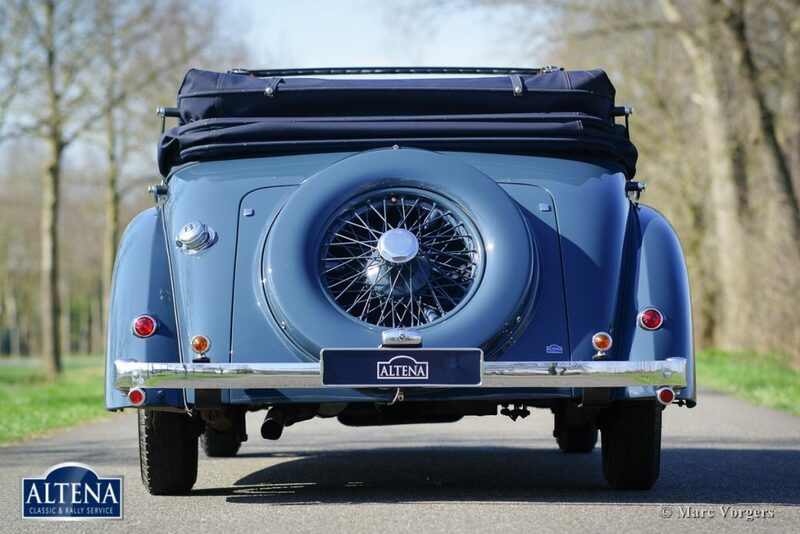 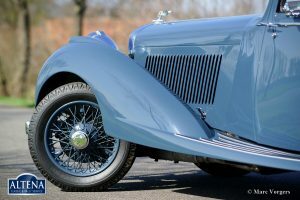 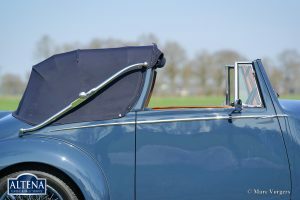 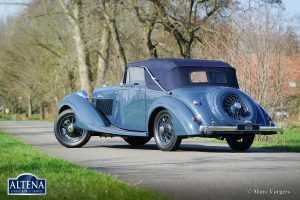 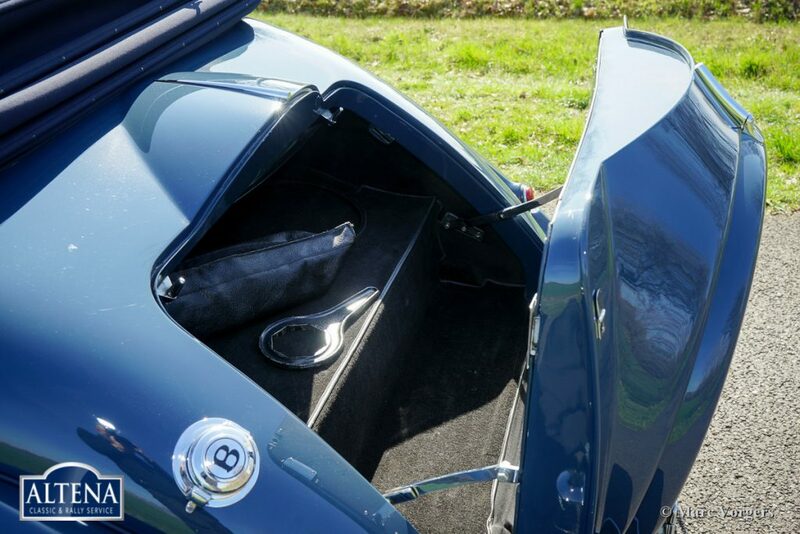 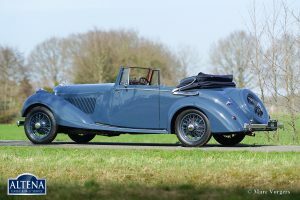 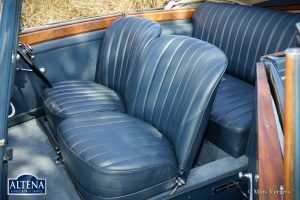 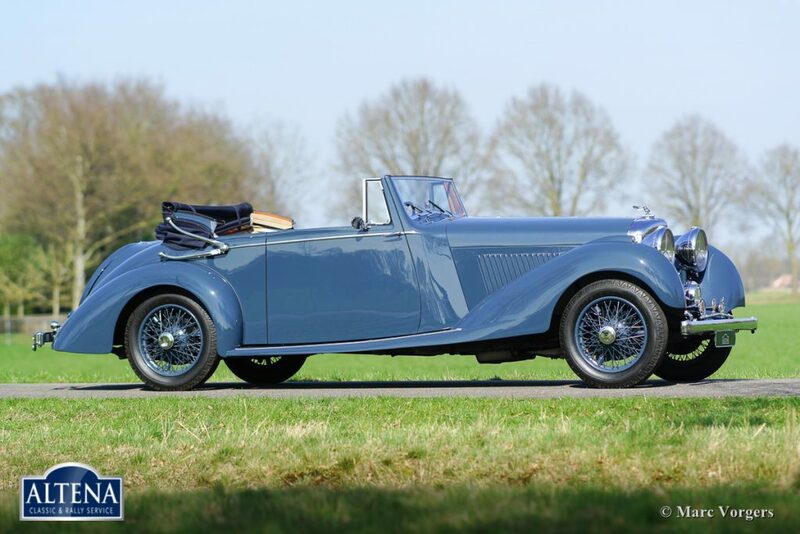 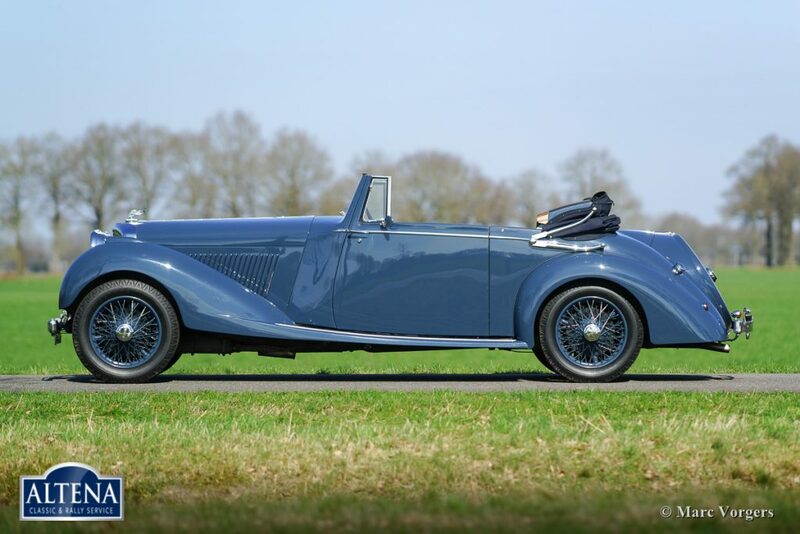 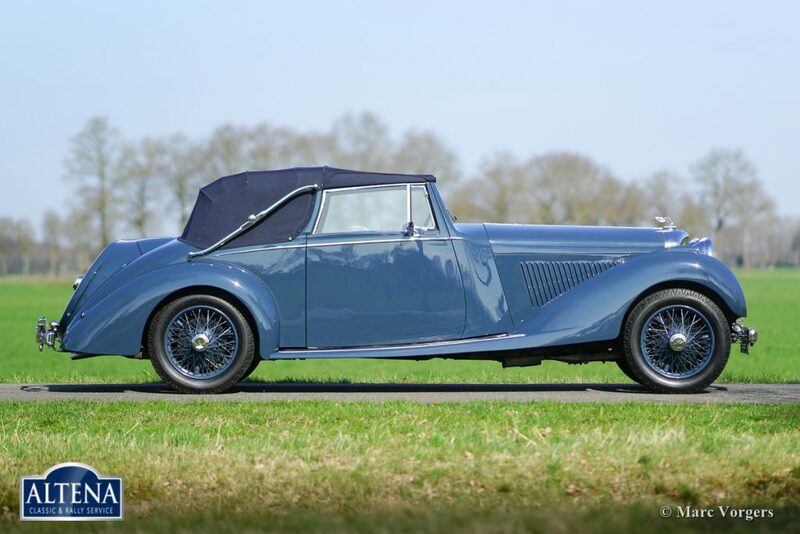 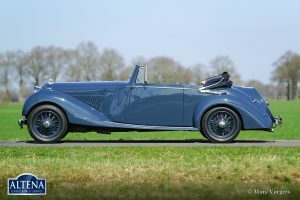 In Australia, this very fine machine was extensively restored and it was given a new Drophead Coupe bodywork by the renowned coachbuilder Roger Fry. 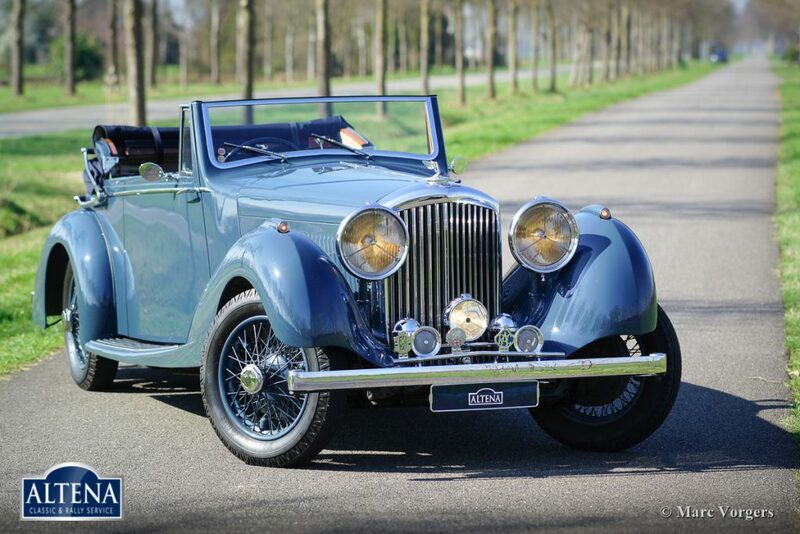 This gorgeous Bentley DHC has won several prizes over the years. In the year 2012, the automobile was purchased by a collector in the Netherlands who has taken excellent care of the Bentley. 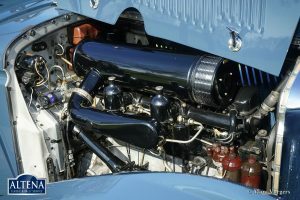 In the year 2013, the engine was fully overhauled. Invoices and photos of the works are present. 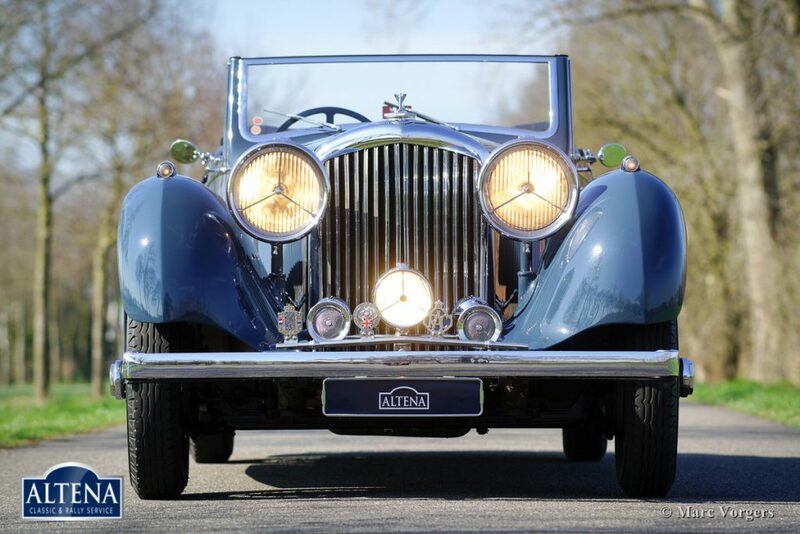 The automobile has been serviced and maintained at the workshops of Altena Classic Service over the last five years. 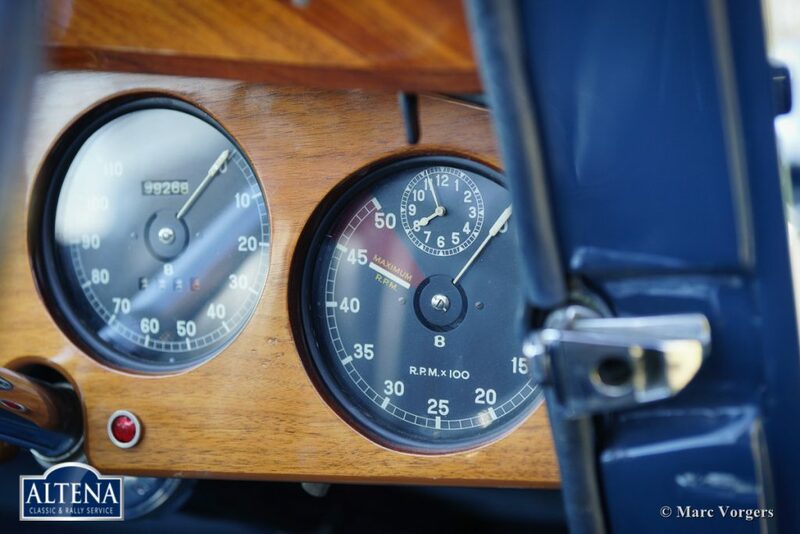 The (service) history of this Bentley is beautifully documented and the car is in superb TOP-condition!